You would like to contact us, have a request, wishes, suggestions? Please fill out the contact form, we will contact you as soon as possible. 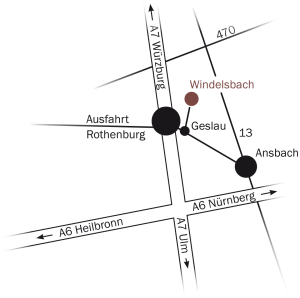 From exit A7 to Windelsbach is about 11 km.